A meningitis outbreak in their underprivileged neighborhood left Sylvia Acevedo’s family forever altered. As she struggled in the aftermath of loss, young Sylvia’s life transformed when she joined the Brownies. 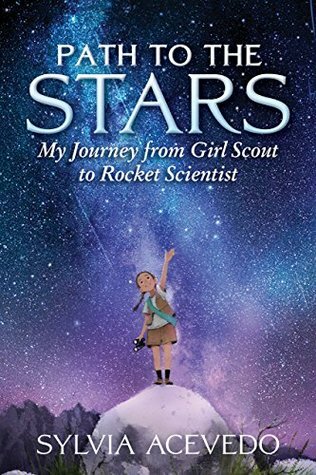 The Girl Scouts taught her how to take control of her world and nourished her love of numbers and science. About the Author: Sylvia Acevedo is a rocket scientist and award-winning entrepreneur who served on the White House Commission for Educational Excellence for Hispanics and is currently the CEO of the Girl Scouts of the US. Visit her online at sylviaacevedo.org and on Twitter @SylviaAcevedo. My Review: Although I do not believe that this book will be for everyone it will be for some. I think that this is a very powerful book for girls to read as it follows the author from early childhood to being in college. It was a book about never giving up no matter what and to always go after what you truly want.